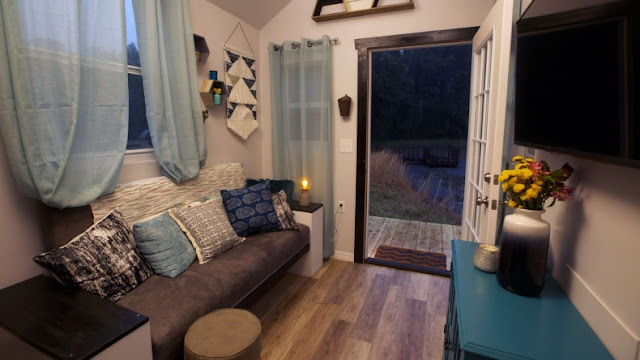 This cute tiny house was featured on FYI's hit show, Tiny House Nation. 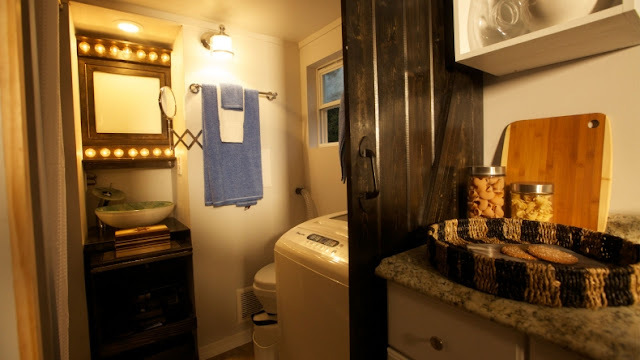 The 240 sq ft house combines both a modern and country look. There's a comfortable living room to relax in, a kitchen, bathroom, and a cozy loft bedroom. 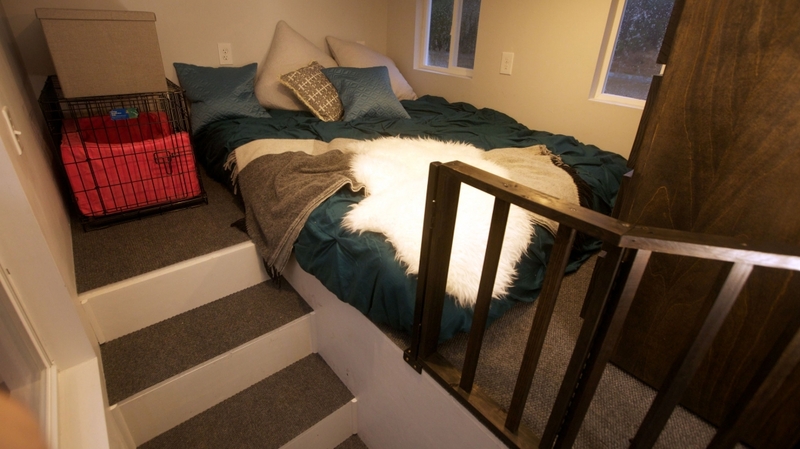 To create some extra room for personal items, the stairs have built-in shelves. 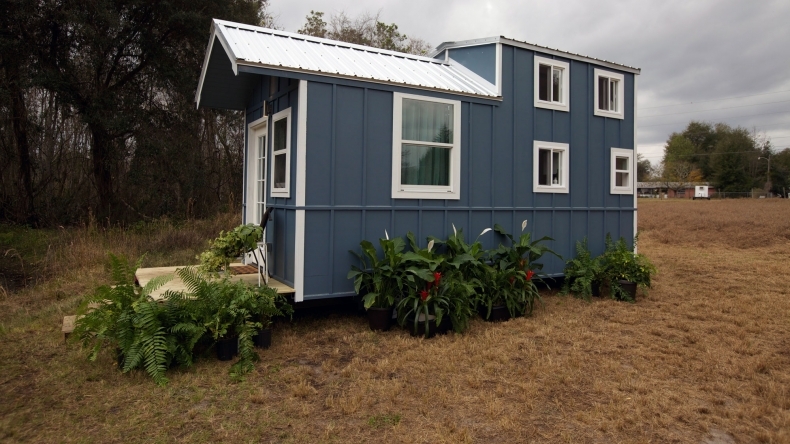 The couple the home was built for wanted a home where they could spend time by themselves watching tv. The upstairs dresser was designed to be moved, which reveals a tv behind it, while also blocking out the view of downstairs. 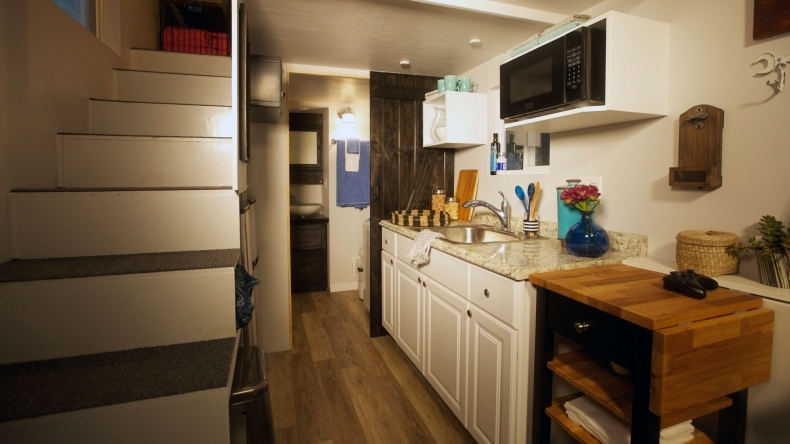 Be sure to watch the home's feature on Tiny House Nation below!